Less than a week since the High Court cleared Prof. Anthony Mbonye, to compete for the post of Director General Health Services, the affluent medical professional has resigned. 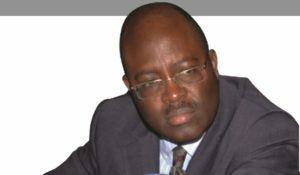 Dr Mbonye has been the acting Director General of Health Services, and was formerly Director Clinical and Community Services at the Ministry of Health. Though Prof. Mbonye remained tight lipped on his resignation, sources at the ministry told PML Daily that he had decided he could not work under the hostile environment at the ministry. “That was a decision he had to make. He defeated his enemies and they were not ready to eat humble pie. The iron ladies don’t want to work with brilliant fellows like Mbonye. And in fact, what disturbing them, they know that Mbonye is more schooled than them. When it comes to health issues, the media runs to him, to get expert views. There is also one time this caused problems to him,”a highly placed source at the ministry told PML Daily this morning. Prof Mbonye says he joined public Service as an intern doctor in 1986. He recently applied for early retirement as per the provisions of the Public Service Standing Orders. “Since 1996, I have been teaching part-time at the school of Public Health, Makerere University and at the Uganda Christian University since 2008. I got a Phd from the University of Copenhagen and I have since won many grants and published extensively,” he stated. In his letter dated January 29, Mbonye stated that he resigned from his post without the endorsement of the Permanent Secretary Dr Diana Atwine, who was out of the country on official duty. Prof. Mbonye also said he recently got a job offer with an international organization that requires him not to hold any job elsewhere. However, just last week Prof Mbonye told PML Daily that he was preparing to sit for the interviews, which the Health Service Commission will soon conduct, for the post of Director of Health Services. Another source at the ministry revealed that by Mbonye resigning, he wants to compete for the job, without any conflict of interest issues arising. “He is aware that his enemies are likely to use all the channels, especially politics, to block him from sitting for the interviews. If he sits, I doubt whether there is any body at the ministry with the experience Mbonye has, who can outcompete him,” the source revealed. Last week, the High Court threw out the Inspector General of Government’s recommendations that led Dr. Atwine to remove Prof. Mbonye from the position of Director General of Health Services at the ministry in November. High Court judge Henroyata Wolayo ruled that the IGG was unfair in recommending to block Prof. Mbonye from competing since there was no evidence of conflict of interest against him and that he had not been given a hearing before a competent authority. Senior officials at the ministry of Health, for the last 10 years have been fighting to manage procurement deals and others to kick out their colleagues from juicy positions. Many senior officials, about 10, including Dr. Asuman Lukwago, the former Permanent Secretary were forced to leave the ministry. Dr. Diana Atwine, from State House, was appointed by the President to replace Lukwago. Dr. Atwine together with Health minister Dr. Jane Aceng are accused of boiling the intrigue at the ministry. Dr. Aceng did not pick her calls while Dr. Atwine is reportedly out of the country.